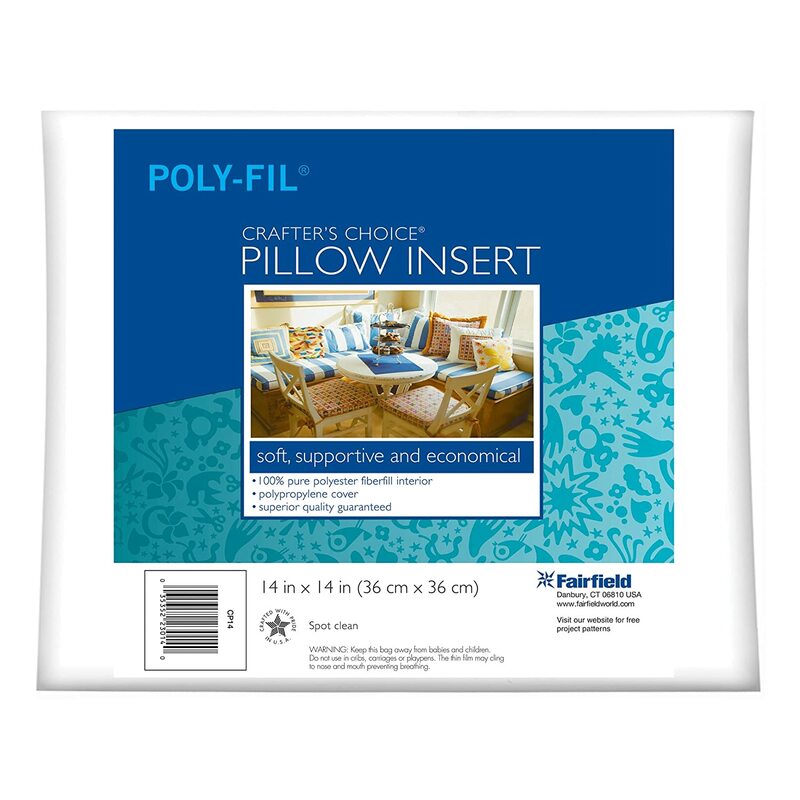 FAIRFIELD-Crafter's Choice Pillow form. 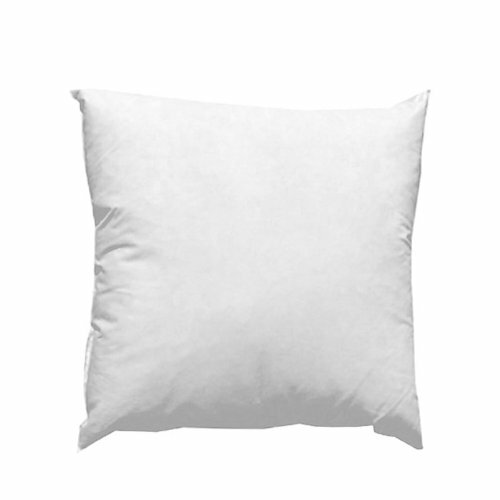 This pillow insert features a polypropylene cover filled with 100% polyester. Also has a zipper on the side for adjusting firmness level by adding or removing fiberfill (extra fiberfill sold separately). This package contains one 14x14 inch pillow insert. Made in USA. Great pillow, nice zipped cover, decent amount of filling. Worked perfectly for what I needed. The stuffed size is smaller than listed, however, if laid flat, unstuffed, it is exactly as stated. I always make my covers about an inch smaller than the pillow so that they appear full and firm. This pillow form is exactly what it should be. I have eighteen of them in my breakfast nook. They are firm to support your back. 14x14 seems to be an odd size for pillow forms. I have a bunch of covers that I'm embroidering and had to find some online. 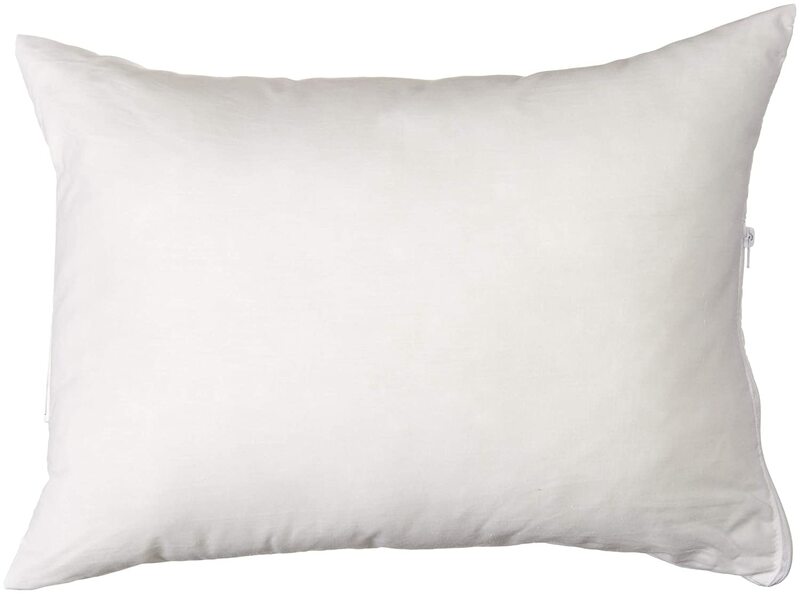 These are pretty nice pillows. 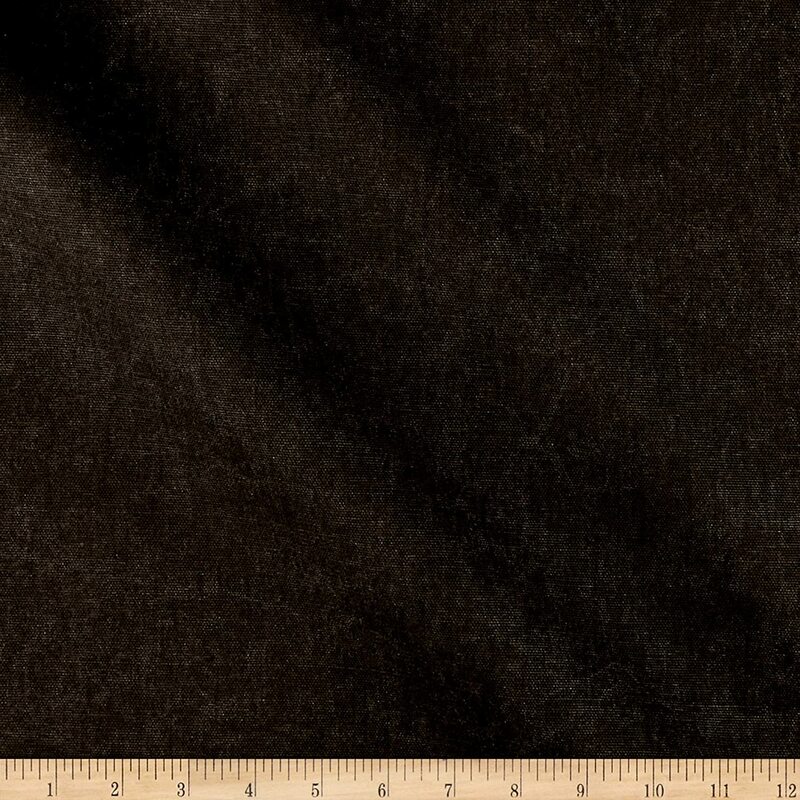 100% polyester and I like that the covers are zippered so you can change that as well. 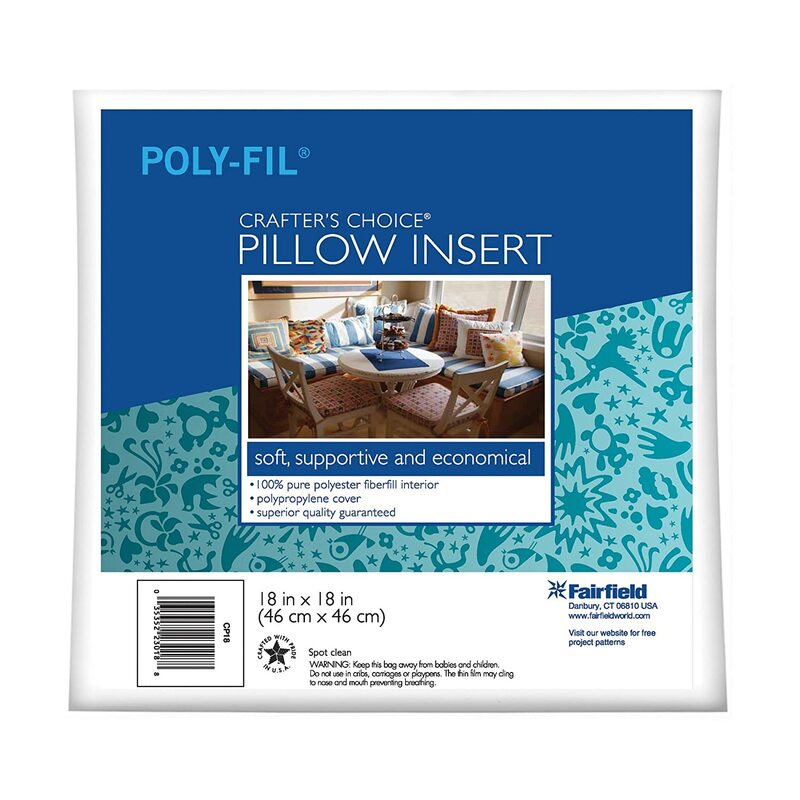 After reading other reviews about other pillow inserts, I decided on this product and I am glad I did. What I liked most of these is that they have a zipper on the side so that if you ever want to add additional filler, you can do so. I used the 18x18 pillow form to be placed in my 17 x 17 pillow cases. They were able to put into place very quickly and I am satisfied with how they look. The box was delivered nicely to my door. I would order again if necessary. Perfect size... the down pillow on my sofa had leaking feathers! So glad to get an inexpensive form, also such fast, careful shipping...have ordered these pillows twice!! This pillow insert was flatter than I expected. It did not fill up my pillow cover. 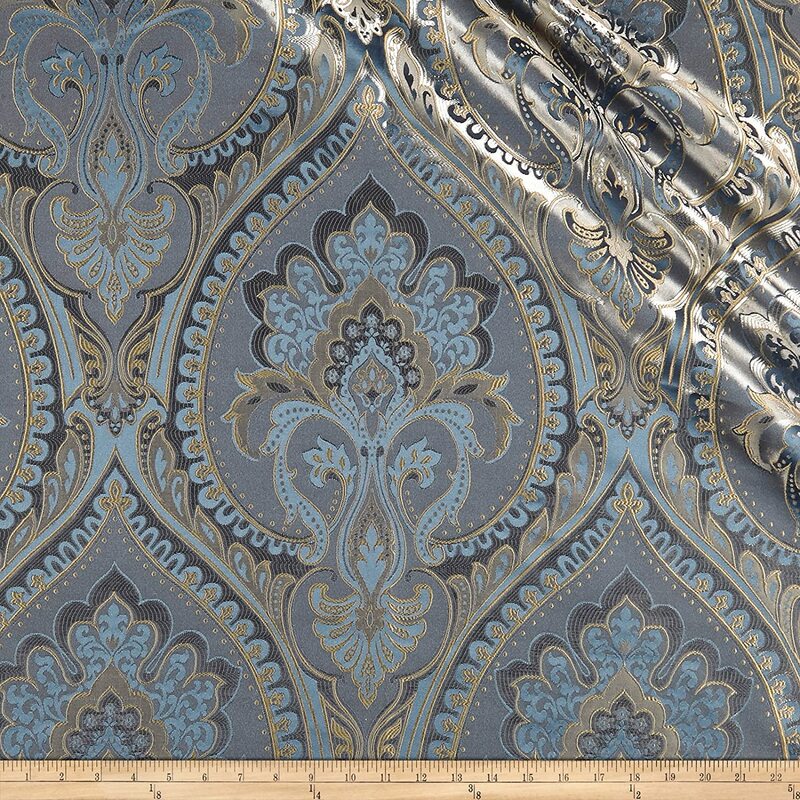 returned product, 14x14 too small for my 12x12 pillow cases. You need to go 2 sizes up!